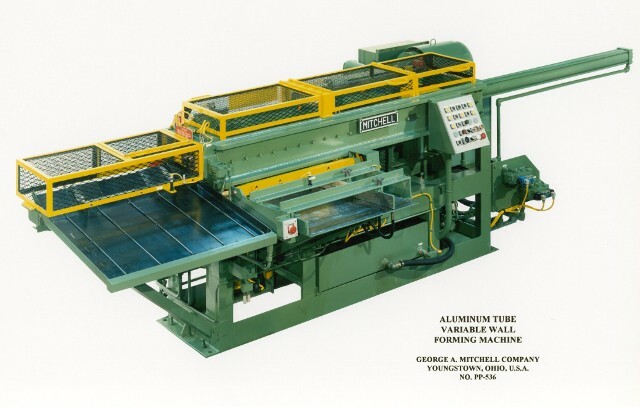 This machine was produced for a major supplier of baseball and softball bats in the U.S. 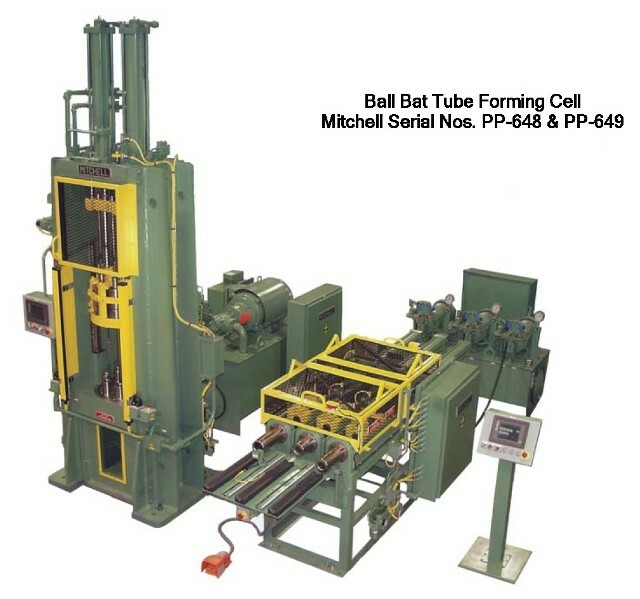 It cold forms variable wall and uniform wall prelubricated aluminum tubes into contoured ball bat blanks. The cold forming process makes the former process of rotary hammer swaging obsolete. The cost savings over the old process are phenomenal.